The Viamo Series represents Canon Medical’s Portable Ultrasound imaging solutions. With the ability to be hand carried to the point of care and work in tight spaces while still providing high diagnostic confidence, the Viamo series products focus on delivering Canon Medical’s outstanding imaging quality with excellent mobility and productivity. 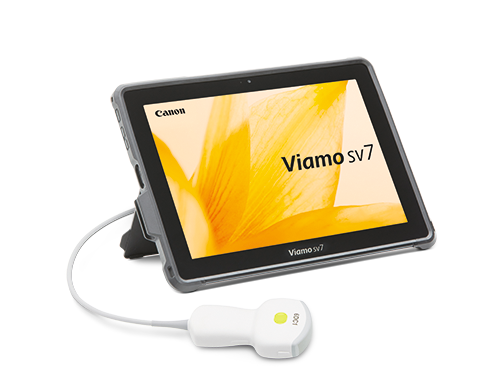 Viamo sv7 is a powerful, ultra-compact ultrasound solution that combines premium imaging technologies with the size and intuitiveness of a smart device.